England are starting to believe – Dele Alli’s header has made it 2-0 against Sweden in today’s World Cup quarter-final. Gareth Southgate’s side started this game slowly before getting a first-half breakthrough via Harry Maguire’s header, and Alli has now nodded in a second. Manchester United winger Jesse Lingard picked the Tottenham ace out superbly, and he finally showed the world what he can do on this stage. 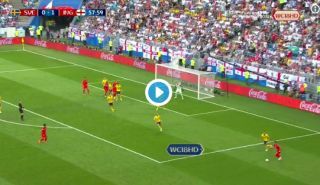 A star player for Spurs, Alli has rarely looked quite as impressive for England, but this goal could now put the Three Lions through to the World cup semi-finals.